Home About Meet the Team! 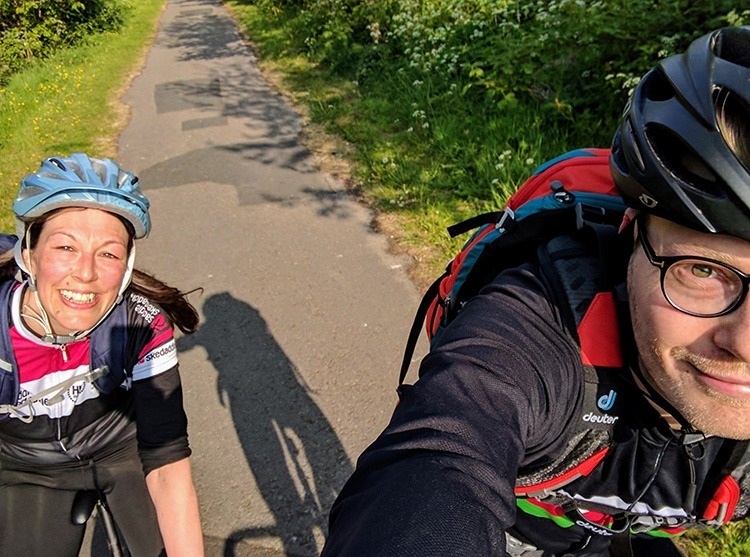 Our team in the office is a passionate bunch and alongside efficiently organising our extensive range of cycling holidays for you, they enjoy escaping for fun on their bikes too. Although you may not guess from my youthful looks I have been at Skedaddle for 11 years. 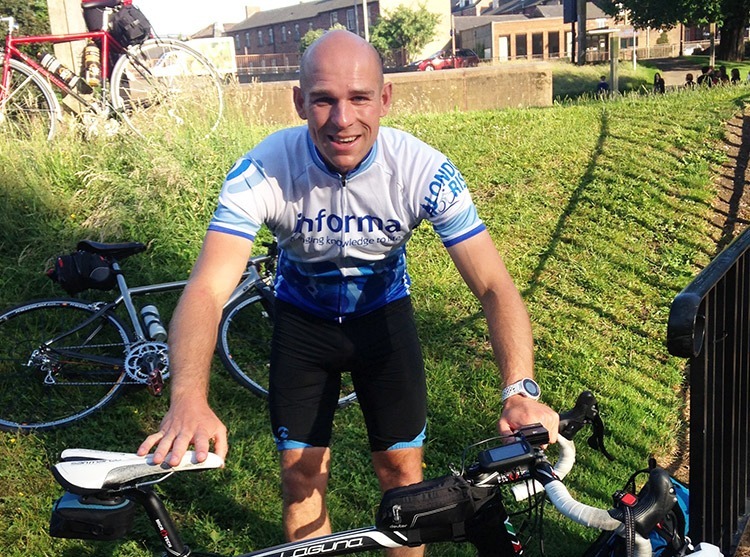 I have looked after every type of cycling we do at one time or another and now my main focus is making sure the experience we provide our customers is top notch! I have been lucky enough to try quite a few of our trips both close to home and far flung but I always enjoy going to visit our teams in Sardinia and the south of Spain because they know the best sites and places to eat and drink. 2. What is your bucket list cycling destination? I have always wanted to go to Japan but never got the chance when it was in our range a couple of years ago so I am really excited that we are offering it again in 2018. Being a bit of a glutton I also have my eye on our new trips in Piemonte as the food and wine are supposed to be incredible. 3. What is the best advice you’ve ever received? Getting up hills are as much about practice as fitness or strength. 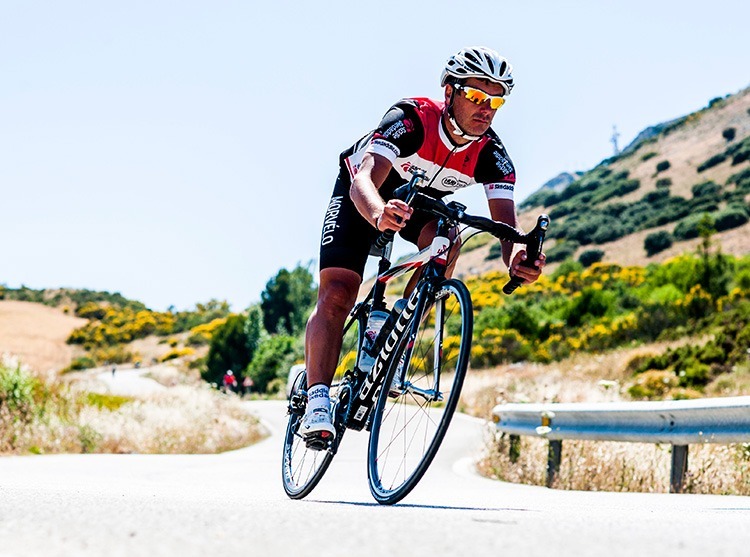 Get out on your bike as much as possible before your trip so you get used to looking ahead and deciding how you are going to tackle each climb, either sprinting up short sharp ones or selecting a lower gear and spinning your legs up longer hills. 4. If your ride was a movie, what would be your soundtrack? I like the quiet hum of tyres on tarmac! But if I need firing up a bit, something like Legend Has It by Run the Jewels is a go to. I’ve been with Skedaddle for 6 and a half years. 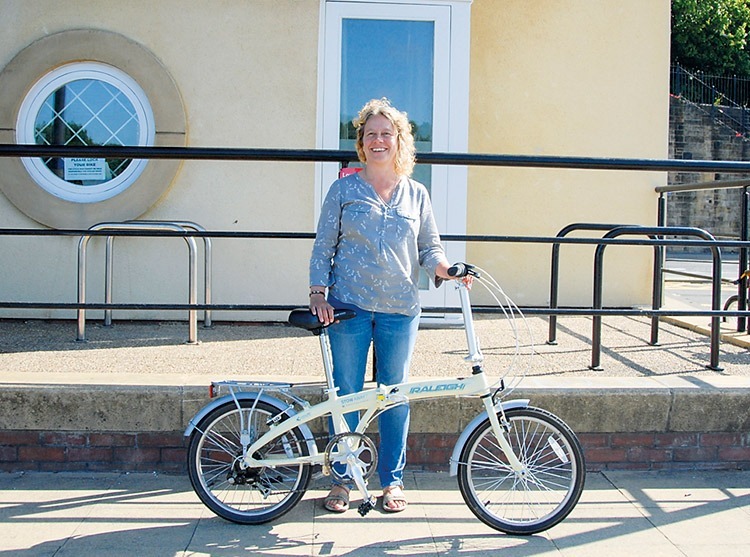 Starting as a complete novice, having only really ridden my bike as a kid, and in and around town, coming into the world of cycling mad Skedaddle was certainly an eye opener! Since then I had a chance to experience Holland, Croatia, Denmark, Spain, UK, Azores and also Slovenia from the saddle. There’s really nothing better than waking up in a morning knowing a new destination awaits your wheels! 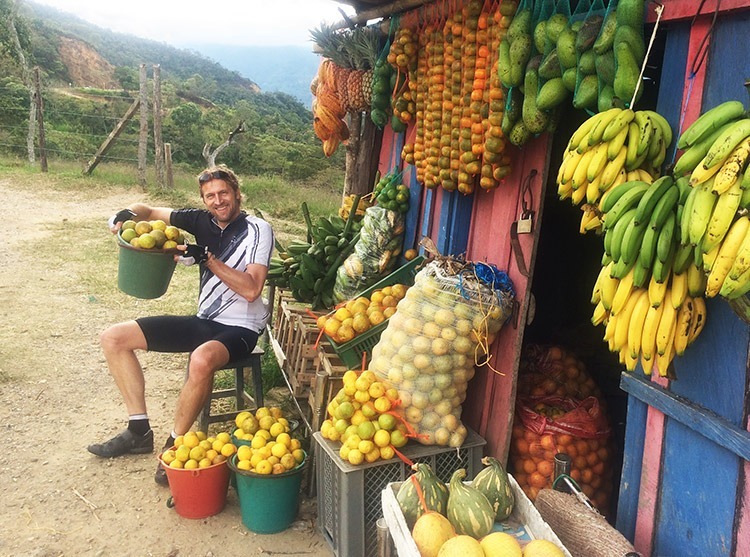 South America – specifically Colombia, but I don’t think I’d manage the 50 odd mile climb. So since I’m more suited to gobbling up plates of pasta, Pisa to Florence please! Get up early. You’ll see everything in a new light. Whether that’s the light from the sunrise across some misty landscape, or seeing a city before it awakes, either way, you’ll get to see what the masses don’t. Tina Turner – Proud Mary! I’ve been here a month and a half now and have previously loved the Sardinia Island Flavours trip! Slovenia – Capital to Coast. I’d love to explore this lesser-visited country – to explore the capital Ljubljana and then cycle west, stopping for coffee in Italy, and on to Piran where I’d treat myself to an outdoor spa treatment at the Salt pans. Always pack your swimming costume in your hand luggage – if your luggage gets lost and you have no clothes, at least you can swim. Chic and Nile Rogers live from Glastonbury 2017 – legendary! 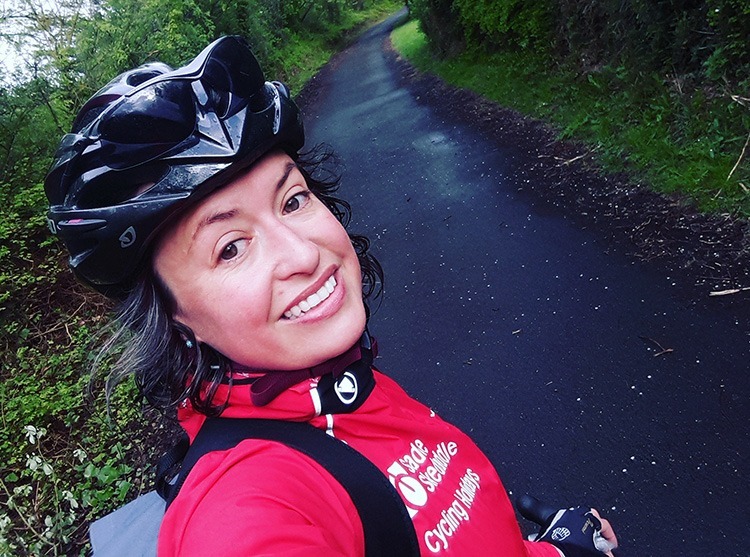 Having a background in travel and tourism and a great outdoor enthusiast, I joined the Skedaddle team in 2010 specialising in UK Leisure cycling holidays and have never looked back! I absolutely love the variety that working for Skedaddle provides and literally going that extra mile to make sure that everyone has a fantastic holiday. If I had to pick my favourite trip, then it would have to be the Coast and Castles route from Newcastle to Edinburgh. Stunning coastal landscapes and masses of ancient castles and pretty villages. Totally biased of course as I live in Northumberland. Got to be the new Romans, Reivers and Ancient Castles trip that we’ve introduced for 2018. 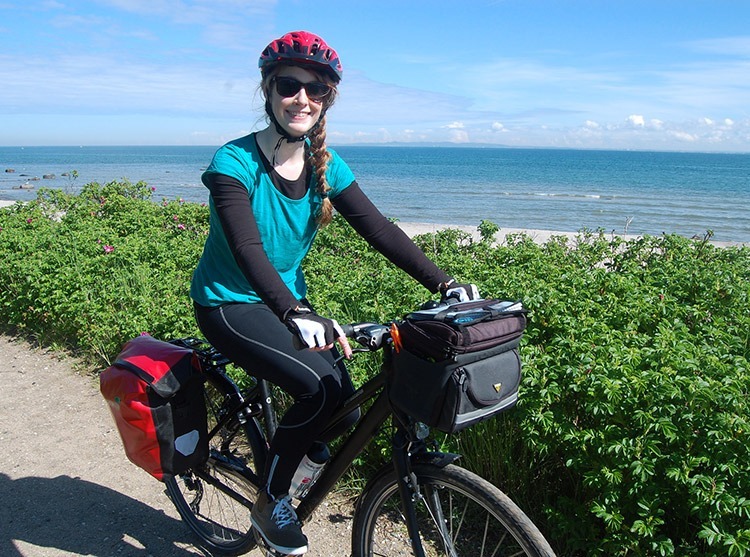 It’s a wonderful, varied trip that covers 290 miles combining the Hadrian’s Cycleway and Coast and Castles routes. There’s no shame in walking (especially up that cheeky climb). The Chain – Fleetwood Mac. I’ve been at Skedaddle over 12 years and have joined trips in Asia, Africa and South America with many fantastic memories! Always love discovering somewhere new, whether it’s a hidden gem close to home or a new adventure further afield. I’ve always wanted to try out our Asturian Coastal Ride, great scenery, culture and a refreshing glass of local cider waiting at the end of each day. Always carry a spare inner tube. Tamacun by Rodrigo y Gabriela! I’ve been at Skedaddle product managing since 2004 and during my time here I’ve guided in excess of 120 trips in over 40 destinations. Too many highlights to mention but I’m at my happiest when I’m on my bike looking down from the summit of some mountain we’ve climbed – always amazes me how quickly you forget about the struggle once you reach the top! I don’t have a bucket list but of course I’m looking forward to trying out all the new trips we have on offers this year, especially some of the Hidden Gems because they’re basically a compilation of the favourite off-the-beaten-track roads of the Skedaddle guiding team – you just know they’ll be taking us to some special places. Once in a while deactivate Strava, switch off your Garmin and forget about numbers and competing with people you’ve never heard of. Do it like we did when we were kids and ride for the sheer joy of it. Black Betty by Ram Jam. Joined after seeing the Skedaddle van out on the road! Sent in my cv and voila! I was actually in Tarifa boarding the ferry for Tangier when I got the good news. 5 years later here I am liasing with our man in Tarifa, Dan the man! I would love to ride Ventoux one day – may as well pedal all the way through France to get to it, so… St Malo to Nice! There ain’t nowhere in the world you can’t explore by bike! Tour de France by Kraftwerk. My bucket list trip is the Italian Dolomites, of course this needs no explanation! The challenge of the epic Zoncalan and the Dolomites peaks are a huge draw. Keep an open mind and enjoy the full experience. From the social aspect of a group trip, through to the cycling and the enjoyment of the different cultures and destinations, soak it all up! I could ride my bike and belt out Aerosmiths Crazy all day long! Been here forever and looking forward to my knees surviving till I’m 80! Japan – loved developing this one and can’t wait to share some sushi and cycling with some Skedaddlers. Always check opening times of the café before you set off on a ride…especially in Winter. After washing your cycling kit at the hotel sink wrap it in a towel and ring it out to get rid of the excess water. This works best with someone else’s fluffy towel. Fleet Foxes and Keaton Henson if feeling mellow, Christine and the Queens if in France, Jon Grant and Foo Fighters if I need to get a wriggle on and anything that does NOT include Bicycle Race by Queen. 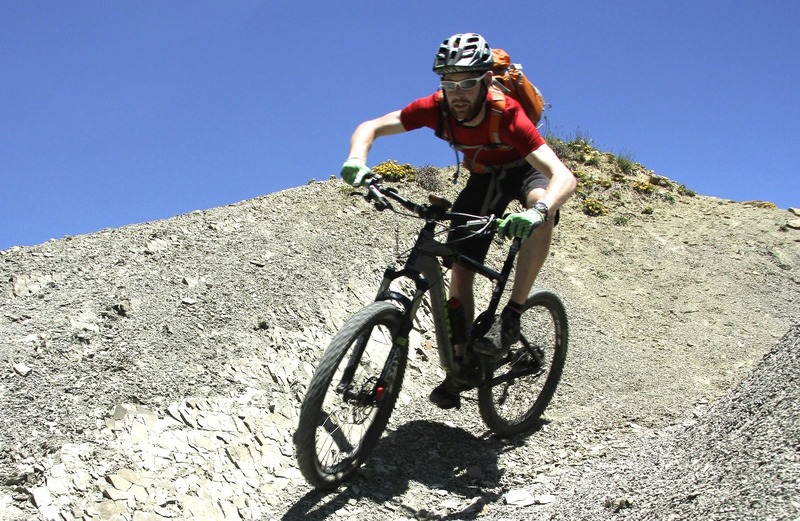 At Skedaddle 5 years now, primarily looking after our Mountain Biking and long-haul Cycling Adventures. I also do a significant amount of guiding, which I enjoy immensely. I’ve ridden most of our UK tours as well as a good selection of our European destinations. Every trip is different and it’s the people that create the lasting memories, both colleagues and customers. Anywhere that I’ve not been before, so right now my next new destination is a bespoke trip through the High Atlas mountains of Morocco. I’ve not travelled in Africa so our new Swaziland trip is also very much on the list. Just do it! You hear a lot of mentions of being so ‘lucky’ to be able to have great travel experiences, but in reality we make our own luck. 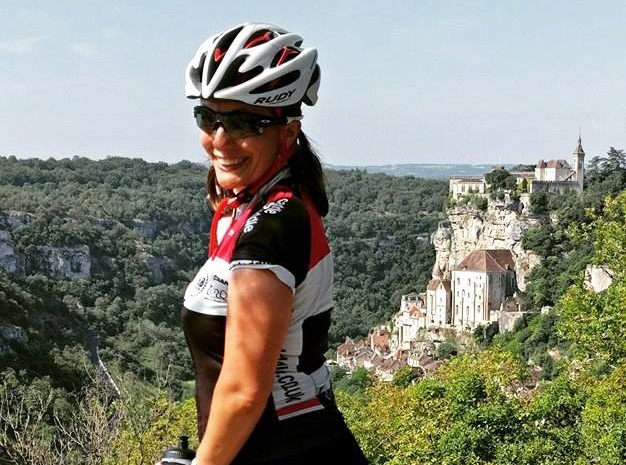 If a trip looks good to you then go for it, whether you are a solo traveller, a relative newcomer to cycling or after a big challenge you’ll have a great time! I love the soundtrack of cycling; tyres on dirt, heavy breathing, wind in the trees! But if I had to choose then some good old fashioned guitars and drums rock: Foo fighters, Green Day! I joined Skedaddle/Meet the People team earlier this year in February. I had previously guided on a Way of the Roses trip a few years back for Skedaddle. 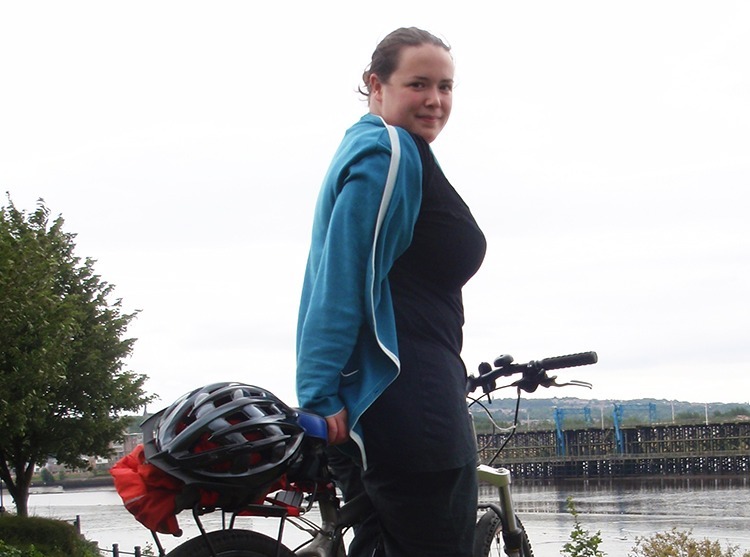 I’ve also spent 5 years cycle guiding across the UK and Europe. I very much look forward to sampling any of the many holidays on offer – specifically Road cycling as this is where I feel most at home. Cycling in the Azores looks and sounds pretty amazing – idyllic scenery, fantastic climbs and great roads. Heaven! Riders on the Storm by the Doors. Or maybe Stairway to Heaven by Led Zeppelin.